This particular wine fully reflects our philosophy of work, the traditional Sangiovese blend with a touch of softness of Merlot. The good tannic reaches equilibrium with ageing in wood for 12 months.All Castelvecchio vineyards are located in the production area of Chianti Colli Fiorentini DOCG(Denomination Controlled and garantee. 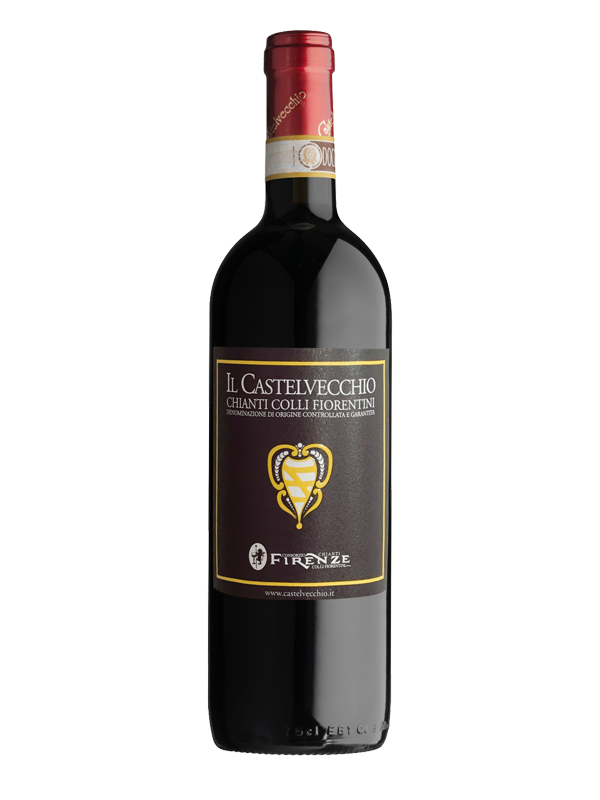 Il Castelvecchio is the most popular and representative label of our winery. It receives every year good reviews and ratings for its pleasant taste and good quality/price-ratio. Wine made from Sangiovese 90% and Merlot 10%. Manual harvest of Frutteto and Cipresso vineyards with spurred cordon and Guyot training system. BOUQUET: Intensely fruity with hints of ripe red berries. TASTE: Moderately dry but soft, good persistence, acquiring a velvety texture with ageing in bottle. Perfect accessory with mainly red meat dishes and any savoury meal. Serving temperature 16°-18° C.